After some busy and loooong days in NÃ¼rnberg where I spent my time with the HOG iPC and lots of LEDs, I am now back in the office today. And as expected, there is not much to do. Now I am again working on WYSIWYG … and again, it is no fun. I am just rendering stuff with the render farm and it appears that WYG has its own will and does what it wants – so there is no chance we two will ever become friends in the near future. Girlfriends, friends, and family… and still no work! Well Lauren has been here for 1 week… out of 9 and we are doing pretty well i would like to think, she of course sends her love to you both, she starts work on Thursday, so that will get her doing things on her own which is good, all my friends are slowly travelling back to London for the summer, and Bart is now here for a few days because he has an interview. Today is fathers day here in England, but my father is no longer living in England, so i am going to my grandparents for lunch. I applied for another job yesterday but don’t think i will get it, I just need one to get more its that one i cant manage. i have lots of opportunities outside London but i cant leave because of Lauren and other reasons. Something has come up over here in the family and i don’t really know how bad it will be yet, but there is a possibility that i wont be back next year, its a small chance, but its gotten me thinking of the things that are important, I’ll let you guys know about it as soon as i know more. Anyway on a more jolly note, i have categorised my post and all is well on that end, i am not reading much at all and am not writing much at all i cant seem to get a free minute to do it, but just before Lauren got here i started writing a stage version of “Peter Pan in Scarlet” (the sequel) from the perspective of Michael (Wendy’s brother) who died in the second world war and therefore is not in the story, and i use Neverland as a metaphor for heaven. When i get near my notes ill type up my prologue, i would like to know what you guys think… plus it gives Hans something to think about other than chip number V69876921… e and it gives Georg something to think about other than the transparency settings on his WYG which he will never get to work because WYG just isn’t built that way! This is BLS E1 signing off! OK, OK I again forgot to categorize my post. This is just because I am so much older than you Hans and this just means I can’t think about things like that all the time. I really promise to try better from now on. It is also on purpose so that you dont degrade into a moron too quick. George-E going back to work now. Fun, boring, plans and potato omelette! Anyway, it seems the world is back in balance, Norway is yet again cold and raining, with 6 degrees this morning. We still have the light thing though, so I can’t sleep whatsoever… which is nice, considering I get up at 6 o’clock in the morning. yada yada yada.. Hans is complaining a lot, and I shouldn’t, I know. At least I’m home, with good food, nice people and my lovely girlfriend. And summer will be nice, I will see my grandmother again, all my cousins and ants and uncles, go to Germany and see my friends and perhaps I will by a new camera. Life is nice sometimes. You just have to think about it the right way. By the way, if anyone recieves weird or funny text messages from my English number, blame Eyal. As always. Except this will actually be his fault, since he has my phone and sim for the summer.Â Just thought you would like to know. Now I have to go cook the worlds best potatoÂ omelette! Enjoy life my fellow human beings.Â AndÂ the rest of you as well. psI: I would like to point out that I had to edit Georg’s post, he forgot to categorize it. psII: On the practical show placement next year, I’m doing Breaking Boundaries, so don’t even think about it. Hmm, first of all I would also say that Mr.E did the right thing. It is quite interesting because usually we get blamed for this racism-thing most of the time (and we pay a lot of money because of that) but this was the proof that it isn’t always us. (Smiley) Anyway, Eyal you had a tough time during your stay in Liverpool I think. The meeting can’t have been very important, considering the email we all got with the summary. I don’t get why they need a meeting to tell us that they don’t know anything, which we already knew and therefore there is no point in having a meeting at all… I will never understand LIPA-logic (if something like that exists..). I am still buidling things in WYSIWYG and I am getting more and more confused. Why did this thing become so popular in the lighting industry? The renderings are crap and the photometrical data replication isn’t that great either. If you want photorealistic renderings there is plenty of software doing great stuff for you… and there are free programms that do the mathematical lighting bits in much more detail than WYG (example here is Relux). Anyway, at the moment I am fighting with the transparency settings again. The surface is transparent but of course when you shine light on it, this get’s projected straight through the material without even leaving a light-blob. We know that already from earlier this year, but I still cannot understand it. Mr.G from BLS-1 is signing off. My name is **** ***** ***** ***** and of course todays meeting! While Hans is building his circus tent and Georg is rebuilding his (in WYSIWYG). I am now ready to go to the pointless useless bane of my soul meeting at LIPA today, which i am the only Brookfield Lodge representative (someone needs to hold up the flag eh?) and just as a present to you guys, i’m going to record the session and email it to you, mwah ha ha ha ha! now, i saw an ISB two nights ago of a show that i loved in Edinburgh called “My Name is Rachel Corrie” its about a humanitarian worker from America who gets disillusioned by her government and moves to the West Bank and gets killed, its a very nice show about what a wonderful person she was for trying to help these people. The version i saw had signs outside saying Free Palestine from occupation, Boycott Israeli Goods, Israel Kills your children… and so on and so forth. Now i’m a peaceful person and i don’t like to get into arguments unless i feel strongly about something in which case i will argue it to the Nth degree and get quite worked up about it as you all know, but i was good, i sat down with the English Catholic “Palestinian solidarity” worker and went through the history of Israel, International Law and the peace treaty signed with Egypt, and at the end i reduced his argument to, “yeah, but all you Jews are racists anyway” So i think i got to the root of the problem, and i was still good, i asked him very nice to leave LIPA and if he ever wanted to come back to have a nice talk with Mr Mark Featherstone-Witty, when he refused to leave i got security to throw him out, now today i have a nice friendly chat with Rocky, who was the director of this little show. there are somethings in life that make me so angry, and people hating in the name of peace is one of them. Eyal Israel and proud of it. Dubai in Germany and WYSIWYG in the a***! Well, well while Hans is letting (!) his people rig for Ozzy and enjoying summer in Norway and Eyal is still leaving cakes out in the rain, I hope everyone is well. I know one member of the BLS is really looking forward to the BIG meeting about our last year at the fabulous LIPA on Friday. I already liked the email saying: Well actually we don’t know anything important but it will still take three hours. How typical! I have the pleasure to work with the newly programmed version of WYSIWYG at the company I work for at the moment. I can only tell you it is as bad as it always was. And it crashes all the time. We even work with the CSP (Certified Service Provider) Version of it but it doesn’t make any difference. 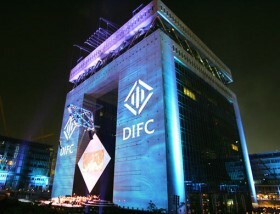 At the end of this post you can see an image from The Gate at the Dubai International Financial Centre at an event the company did there last year. My job is it now to build the whole building and all its surrounding buildings in WYSIWYG. You have to know that the gate itself is already 80m high… so WYSIWYG reached its natural border already and it is no fun at all!!!! Anyway, what else is happening… hmm, not much, at least nothing that would be of world wide interest. It is very hot again today and it looks good for the next days and today is a holiday here in some parts of Germany – of course it is in Bavaria – we have the most holidays in the country (Simley). So it is a short week and I only have to work tomorrow again – which is good, because otherwise I would possibly throw the computer out of the window. OK, this should be enough for now, hope you are all well and hope to see any of you at some point on Skype or something… bye mate!